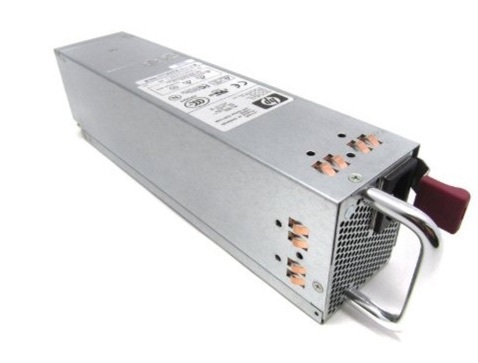 This article documents the modification of 2 typesof Hewlett Packard switching power supplies to enable their use as power sources for ham radio equipment. 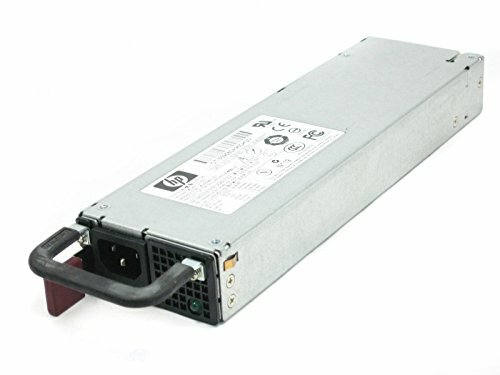 Obsolete server power modules can be bought fromÂ online dealers at very good prices due to the massive replacement of older network servers; typical prices for a unit are as low as $10 including shipping. Most of them have multiple outputs, typically deliveringÂ +12v, -12v and +5v. Some of them are capable of over 20 amperes continuous output at +12v. This makes them suitable for powering the typical HF amateur rig, which requires 20-22 amperes at full power output. ical documentation available for these units, which makes experimentation very difficult. These units were chosen because they have +12v as their main output, derivated from a separate, dedicated converter (unlike typical computer AT or ATX supplies which derive all voltages from the same converter). They are capable of over 20 amperes, andÂ are very plentiful and cheap (dozens of dealers offer them used at very low prices). Their median time to failure is in the tens of thousands of hours; the engineering, the quality of the components as well as the assembly work are outstanding. Designed for use in highly critical business machines (network servers), they are ultracompact, lightweight, very conservatively rated and feature several layers of protection to overvoltage and overcurrent. Isolation from the mains is excellent. The units have internationally recognized safety certification (TUV, CE). Unlike most power supplies for amateur radio use on the market, the HP units offer power factor correction and have the added advantage of working from any mains voltage between 100-240 VAC, 50 or 60 Hz, thus can be used in Europe without any modification. The main difficulty in making these power supplies work outside the environment that they were designed for lies in identifying a) the pinout for the output connector and b) the control signals that start/stop the 12v converter. b) studying the architecture of similar power supplies for which documentation was available (none was available from HP) and c) acquiring and studying the modules that the HP power units are connected to in the HP Proliant servers, the power distribution units, or PDU. These modules serve as an interface between the power supply and the server motherboard, they containÂ DC/DC converters supplying 2.5v or 3.3v to the Intel Xeon processor in the server and are also easily available for a total cost of under $10. Tracing the signals from the power supply through the power distribution/conversion module, I wasable to identify how the HP supplies operate in their native environment. 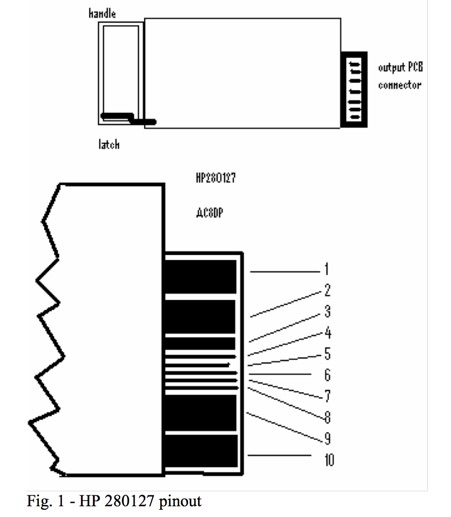 -Interlocking circuits are established on the PDU and PSU through each other’s PCB (each unit ensures that the other is “present”) – the PS_ENABLE signal generated by the PSU is pulled low (LOW=YES) on the PDU by circuitry associated to either the server’s “power on” switch or the presence and fault status of the other, redundant PSU’s -The PS_KILL signal, generated by the power supply in response to PS_ENABLE is pulled low (LOW=NO) by fault sensing circuitry on the PDU. In fact, PS_KILL makes and breaks the cathode to ground circuit of the LED in the optocoupler driving the power MOSFET’s of the 12 volt supply. Therefore the PSU can be started connecting together the interlock inputs and outputs and grounding PS_ENABLE and PS_KILL. The rest of the circuitry on the output connector, being dedicated to automatic power management (APM) functions on the motherboard and/or BIOS monitoring functions (via A/D converters in the PDU) may be left unconnected.The output connectors for both supplies are PCB blades with gold-plated “fingers”. 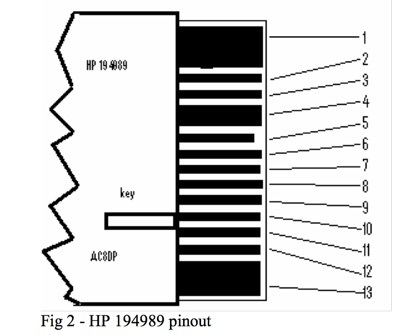 For HP 280127, there are no interlocks. The “bottom” side contains supplementary +12v and GND outputs (easily identifiable being parallel to and as wide as the top side outputs) and also APM/BIOSÂ signals that should remain unconnected. All necessary connections can be done without disassembling the power supply. If the modification is successfully done, the green LED on the front panel of the unit will light up upon connection to the AC mains. The output voltage will be very close to 12v (12.1-12.3 without a load). Regulation is outstanding with 100-150 mV drop in output voltage between RX and TX at full power on a typical HF ham rig. Voltage can be set to as much as 12.8v from an internal trimpot, but this involves disassembling the power supply and the experimenter should be aware that lethal voltages are present in the unit during operation, as well as for a short time after the unit has been disconnected from the mains. Do not attempt working on the unit while mains power is present. Do not connect the unit to an ungrounded power receptacle. Use a certified, desktop-computer type power cord. The ultra-compact 280127, unlike the 194989, does not have an internal fan. While it should be possible to operate it at low output current or low duty cycle without one, this is not recommended. Removing the handle and installing (e.g. glueing) a 40 mm fan next to the mains input receptacle is a satisfactory solution. The fan can be powered from the 12v output (or any of the other outputs depending on the fan voltage rating). For best results, the outputs of the power supply should be connected to a heavy duty 12v power strip by soldering at least 6Â 20AWG wires (280127) and at least 8 (194989) to each +12v and GND. Like all switching power supplies, the HP server supplies generate some RF noise. The noise is most prominent in the immediate vicinity of the power supply and can be minimized by adequate shielding andgrounding of the receiver, by the use of ferrite snap-on or balun chokes and most importantly by using a coaxial or shielded bifilar antenna feeder. A long wire connected to a tuner inside the shack is the most likely to pick up the PSU noise.